A recent editorial is making news in Malaysia. According to Free Malaysia Today (FMT), the Umno government in Malaysia is making scapegoats of Christians in order to turn attention away from their own failures. 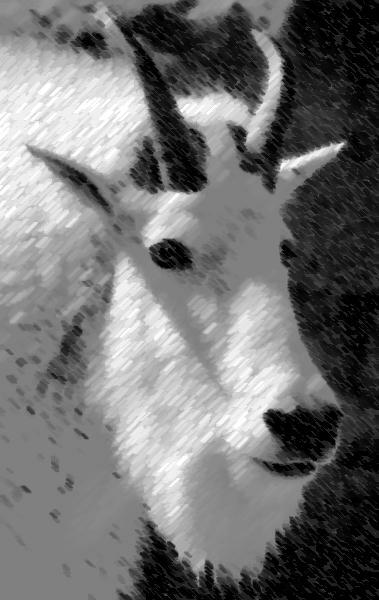 The original scapegoat (Azazel of Leviticus 16) was an innocent goat who had the sins of Israel put upon its head and was sent away from the camp, signifying a removal of sins from God’s people. Since then, anyone who has taken the blame for another has been referred to as a scapegoat. FMT argues that Christians are now being asked to take the fall for the sins of Malaysia’s government leaders. Things are going poorly in an increasingly Muslim Malaysia, so why not blame the Christians? Whether the accusations against Christians are true, these charges against Christians are nothing new. From the beginning, Christians have been blamed: for unrest in Jerusalem (Acts 5); for social ills in Philippi (Acts 16:19ff); and for political unrest in Thessalonica (Acts 17:5ff). Less than four decades after the death of Christ, Christians were blamed for the destruction of Rome. Nero famously accused Christians of causing Rome to burn in 64 A.D. From that time forward, Christians were routinely considered a plague blighting an otherwise pristine and glorious Rome. All the spoiling then which Rome was exposed to in the recent calamity—all the slaughter, plundering, burning, and misery—was the result of the custom of war. But what was novel, was that savage barbarians showed themselves in so gentle a guise, that the largest churches were chosen and set apart to whom quarter was given, and that in them none were slain, from them none forcibly dragged… Whoever does not see that this is to be attributed to the name of Christ, and to the Christian temper, is blind; whoever sees this, and gives no praise, is ungrateful; whoever hinders any one from praising it, is mad. Augustine pointed out that Christians brought humanity to war through their church ministries. Still, Augustine understood that Christians would be easy targets as scapegoats. He also understood that Christians had an obligation to be good citizens in the city of man precisely because they already were citizens of the city of God. This clash between ruling powers and Christian citizens did not end with the fall of the Roman empire; it continued on. 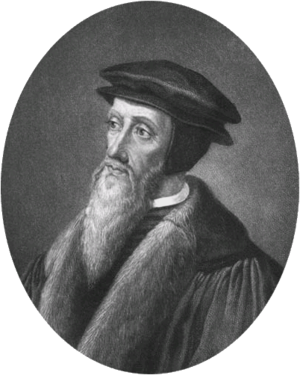 Calvin, obviously, hoped the Institutes would defend the church against the furies of persecution. What’s happening in Malaysia has happened before. There is nothing new under the sun with regard to persecution. I am not surprised to read that the same scapegoating of Christians is continuing in Malaysia, but I am anxiously awaiting the next Augustine or Calvin to come to the aid of the Bride of Christ. Then again, maybe we don’t need a single great man. Maybe, instead, we need the Lord to raise up an army of people like us to oppose injustice and exalt Christ. Why not us? History is certainly on our side. Even if history were against us, Christ would still be for us. This entry was posted in Good Theology, Persecution, Politics and tagged Augustine, calvin, christ, christian, Christianity, Malaysia, Persecution, Rome, scapegoat, Umno. Bookmark the permalink. ← Do You Know What Is Glorious?